Our ever popular Orris Root Powder is now available in Chip form! 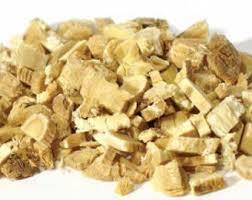 Orris Root Powder is widely used as a fixative to scent pot pourri’s etc, the chips however do not cloud your pot pourri like the powder sometimes does. Price is $13.95 per 50gms of Orris Root Chips. Give us a call on (04) 5264753, or email [email protected] to order yours!